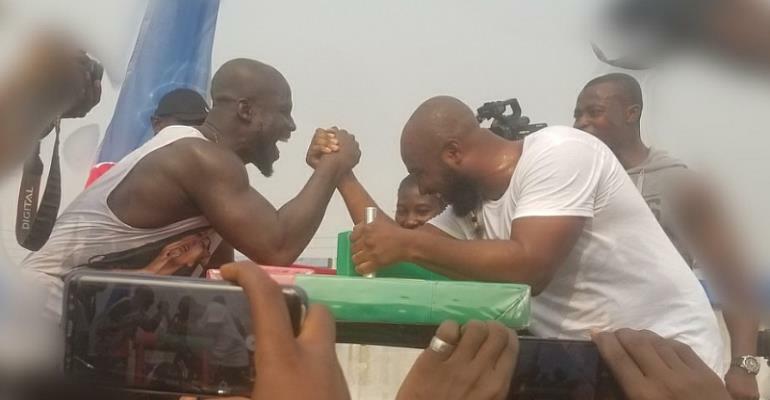 style="margin-left:0px; margin-right:0px">The Ghana Armwrestling Federation has begun a nationwide Registration exercise for Armwrestling Clubs in the country. A statement by the federation has called on all who are interested in forming Armwrestling Clubs in their communities, pubs and institutions to pick up registration forms from the regional offices or contact Mr. Husseini Akuetteh Addy (0244615953) , Mr. Frank Owusu Ansah (0244705112) and Mr. Charles Binney on 0244881330 for directives or visit the official social media platforms for Ghana Armwrestling Federation. The club registration will be preceded bytraining of coaches in the communities, club leagues and regional championship before the upcoming Africa Armwrestling Championship in Ghana. The GAF says it is living it’s vision of encouraging participation and making Armwrestling the preferred sport of choice hence the nationwide Club Registration. This forms part of our development and expansion agenda captured in our 2020 strategic plan. We’re working to become a top sport in Ghana and a force in Africa, says Federation head, Charles OseiAsibey. GAF will formalize registration for 3C Armwrestling-1st club by the president, T20 Armwrestling Club, A1 Armwrestling, KofikromArmwrestling Club, Ghana Police, Ghana Immigration, GRA , Ghana Armed Forces and the many organized groups who are already playing Armwrestling. The statement said, the exercise by GAF will run throughout the year and urged all groups and institutions to sign up to Armwrestling, the most easy to play sport with less investment and fastest growing in Ghana. Meanwhile, the Greater Accra Armwrestling Association will soon embark on the annual Armwrestling Train moving into selected communities with the sport.